2 Bedroom Flat For Sale in Caterham for Asking Price £285,000. A recently refurbished two bedroom, ground floor apartment situated at Caterham on the Hill. 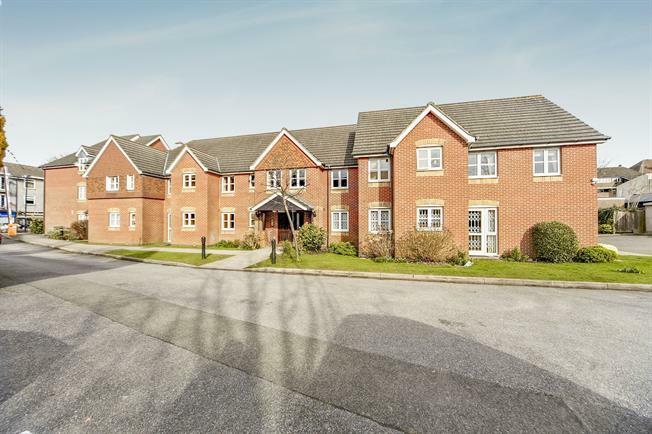 Hillcroft Court is a popular retirement development, benefiting from a residents lounge, gardens, laundry, parking and live-in house manager. This apartment is located on the ground floor at the front of the block and benefits from a door from the 22' lounge directly onto the gardens and car park. As well as the master bedroom benefits from a built in wardrobe and there is a good size second bedroom, Both the kitchen and the bathroom have been refitted. The property is offered with no onward chain. With doors to lounge bedrooms and shower room. Two useful storage cupboards. Front aspect room with door leading onto the front gardens. Double doors to kitchen. Refitted with a range of base and wall units with integrated oven and hob, Space for fridge freezer. Refitted with a three piece shower suite.